We now have a brand new online shop specialising in cupcake delivery. Using our cupcake delivery service your order will arrive beautifully packaged, ready to eat and will last up to 5 days. We also include a free gift tag for you to leave a personal message. Simply place your order online before 1pm and have your cupcakes delivered the next day for free by our specialist fragile courier. 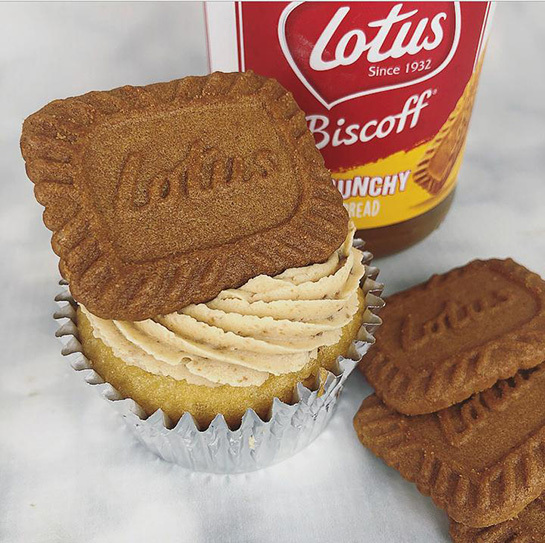 (Nationwide cupcake delivery available). We create amazing cupcakes, wedding cakes and birthday cakes, delivering throughout Greater Manchester and Cheshire. Our cupcakes and cakes are made to order and can cater for your imagination. Whether you want a five tier wedding cake for your special day, branded cupcakes for a corporate event, a unique birthday cake for a one to one hundred year old, or you just fancy some cupcakes for the weekend. Candy's Cupcakes can create something special and memorable just for you. Scroll down and see which type of cake takes your fancy? There is something for everyone, and who doesn't like cake? Here are the new products we've recently added to our online store and are available to be delivered to your door, office or event. 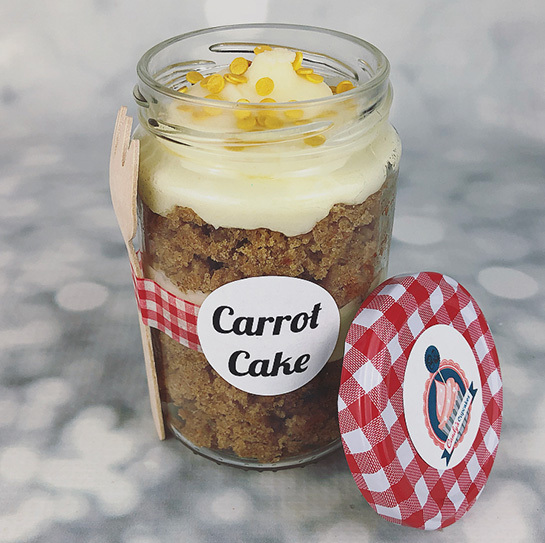 The cutest way to receive an actual cake slice in the post! Choose from; Traditional Victoria Sponge, Tempting Double Chocolate, Zesty Lemon Sponge, Sticky Toffee Sponge, Tasty Carrot Cake, American Style Red Velvet Cake. 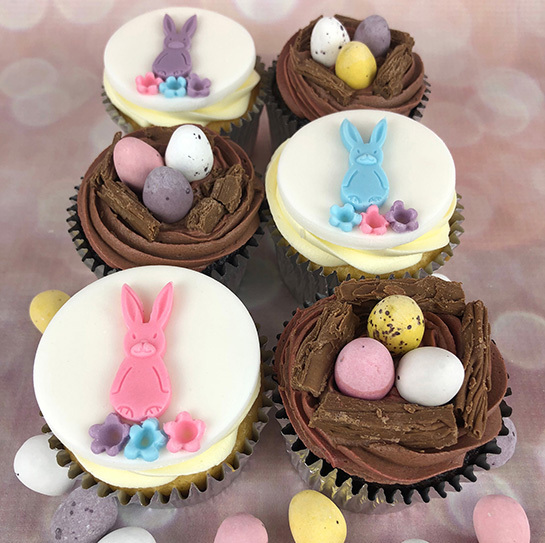 Our Easter cupcakes are a tasty alternative to the standard chocolate eggs. Send them as a surprise or as part of your Easter traditions. Available for a limited time only.